Next Week in TV 7/8: Dystopian, Hot Wheels Fun! 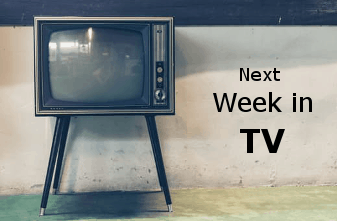 It is summertime in the Northern Hemisphere, which means it is time to put those air conditioners on full blast inside your homes, as well as getting those TVs ready for this week in television. So, here are this week’s notables that we found intriguing for your entertainment boxes. On Tuesday, July 10, do not forget to catch the next episode of The 100 at 8pm ET (instead of 9pm) on The CW. Right after that, the new survival/supernatural themed series called The Outpost will debut at 9pm, but the complete second season of Drug Lord pops up on Netflix at 3:01am. On Wednesday, July 11, the second season finale of The Handmaid’s Tale hits Hulu in the early morning hours, yet fans can expect season three sometime in the near future. The History channel has a gift for every Hot Wheels fan out there with the Hot Wheels: 50th Anniversary Special debuting on Thursday at 8pm. On NBC, this channel will see two season finales: Little Big Shots (8pm) and Marlon (9pm) on Thursday night. As usual, Netflix keeps on pumping out more TV content this Friday night, while part two of the first season finale of C.B. Strike airs at 10pm on Cinemax. And finally, BBC America has more Mother Nature love with Planet Earth: South Pacific saying hello at 9pm. So, there you have it TV lovers! Try to stay cool and hydrated during these hot times, and do not forget to check out the listing below to see what else is airing this week. Of course, please visit the FoCC Forum to keep the TV chat going…until next time, have a great week! New: Hot Wheels: 50th Anniversary Special. Talon is a survivor. The last of the Blackblood race, she also endured the destruction of her entire village by a gang of brutal missionaries. Years after that life-defining attack, she travels to a lawless fortress along the edge of the civilized world, tracking the individuals who killed her family. As she makes the journey, she discovers that she possesses a mysterious supernatural power that she must now learn to control, not only to save herself but to defend the world against the tyranny of a fanatical religious dictator. Trailer: Click HERE. Mister Tachyon travels the world to explore ideas that exist on the fringe of science. Click HERE for more information.